Leslie & Thompson is your local Berry Surveying company. With offices in Nowra and Vincentia, we are well placed to travel all over the Shoalhaven with our surveying services. We have been surveying in Berry for over twenty years and know the unique characteristics of the local area well. Every job we take on is given the same attention to detail and we are known for going out of our to lend that extra helping hand. Whether you need a residential survey or help with a major construction project, we have experienced and qualified staff ready to assist. As part of our commitment to excellence in our field, the Leslie & Thompson team are always updating our skills and keeping an eye on the latest technology. Our current equipment includes laser, GPS surveying instruments and up-to-date computer software for mapping, assessing, and plotting data. We understand that accuracy is essential in our industry and we are always striving for perfection. 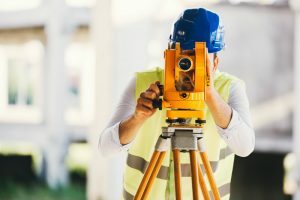 Get in touch with your local land surveyors – Leslie & Thompson to discuss your surveying needs or ask us a question.